It’s been a long 14 years since we last saw the Air Jordan 13 Flint Grey hit retail and for 2019, Jordan Brand is bringing back the beloved silhouette for the remastered treatment. So, you sneaker enthusiasts can rejoice. The shoe is expected to keep everything original featuring its traditional French blue, university blue, and flint grey combination. White leather dominating a portion of the upper while flint grey handles the nubuck mudguard, midsoles, and heel. 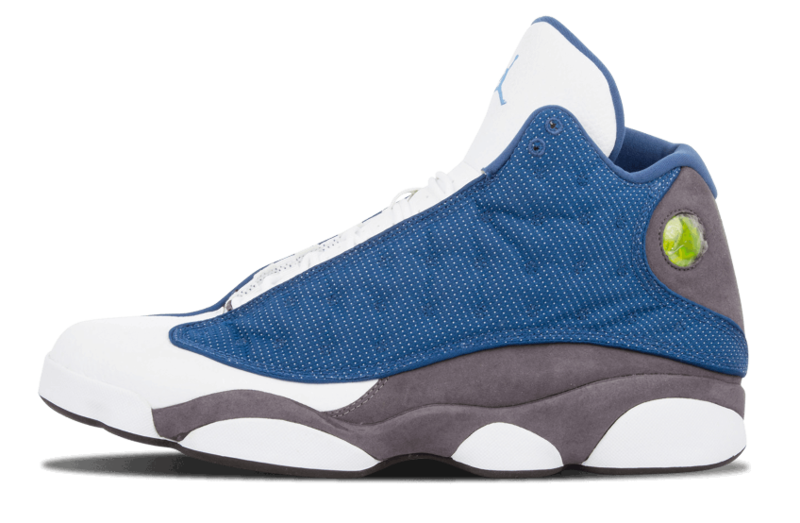 Complimented with French Blue on the mesh side panels along with university blue Jumpman logo branding on the tongue.